Travelers are fascinated by Athens, one of the most attractive and charming capitals of Europe with a long history and iconic monuments such as the Acropolis that dominates the city. Ancient and modern co-exist in perfect harmony with each other, Athens’ modern face will never stop being a witness of the “Golden Age of Pericles” and the historic centre is a truly open-air museum. The emblematic metropolis offers a unique experience, a journey in its thousands years of history, including the chance to see renowned monuments and masterpieces of the past centuries all within walking distance from Arion Athens Hotel. You will get an inspiring feeling, which cannot be described, watching the Attic blue sky, surrounded by the coastline and mountainous landscapes, while enjoying the unique spirit of the Greek life. 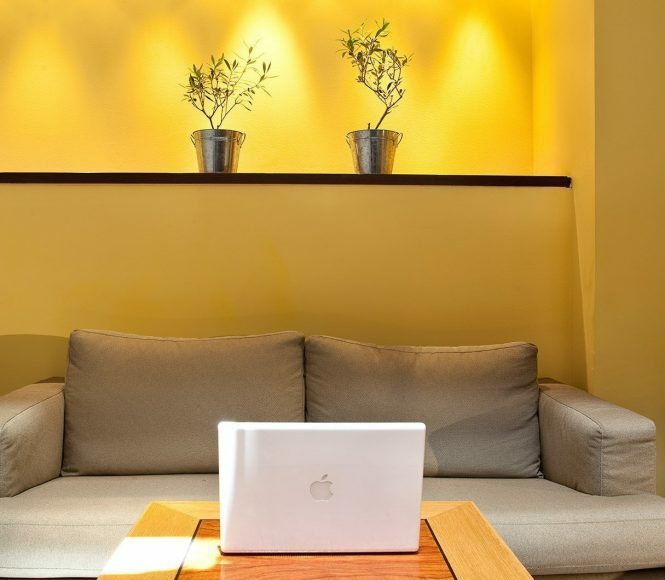 At Arion Athens hotel, you will be welcomed in a cozy boutique atmosphere with modern facilities to feel like home. 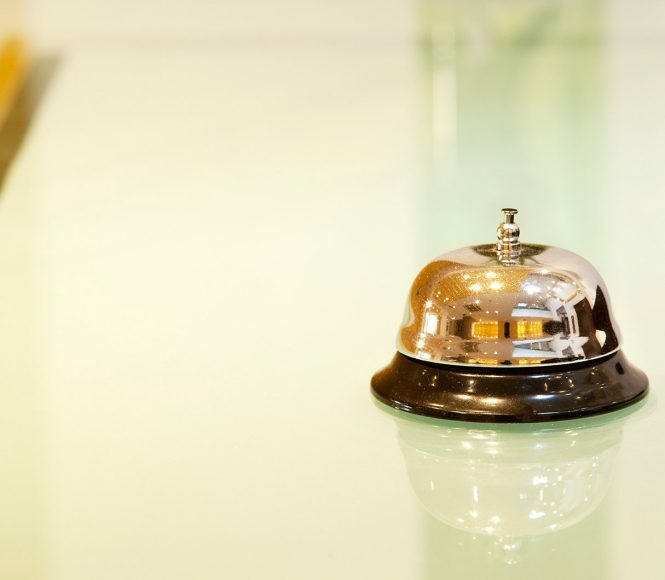 A friendly reception staff, multilingual and available 24 hours a day is willing to help you with anything you might need and provides you with a great local knowledge, and tips on how to best explore Athens. 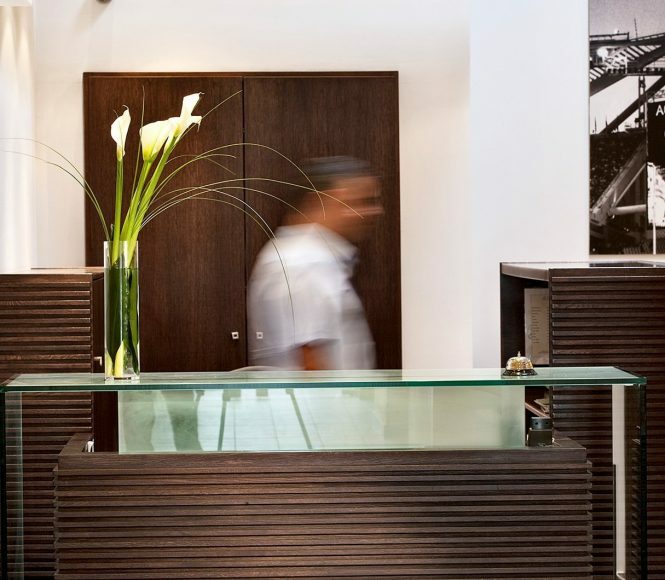 The hotel’s contemporary building has fully air conditioned common areas, warmly designed to make you feel comfortable throughout your stay. The large lobby and the lounge have a welcoming atmosphere, ideal after a busy sightseeing or working day, and you can indulge yourself with coffee, beer, refreshments and light drinks served at the bar or enjoyed at the 7th floor roof terrace. A rich American breakfast buffet is served every morning from 7 to 10:15 am on the Mezzanine floor, a pleasant way to start the day with plenty of delicious choices. The buffet includes products from the Mediterranean diet with Greek flavors, seasonal fresh fruits, cereals, scrambled eggs, honey, cakes, bread rolls with olives, raisins or multi-grains, croissants, hot and cold beverages among others. 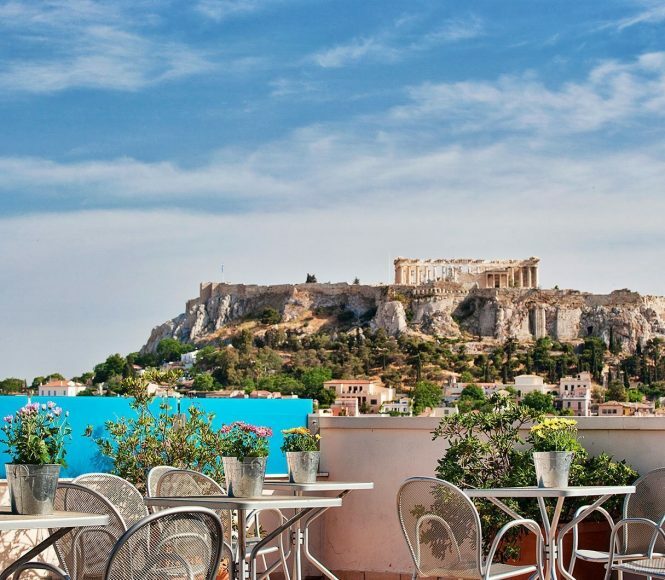 Overlooking the Acropolis and its masterpiece the Parthenon, the roof garden is a great place to feel the Athens spirit. Enjoy the stunning day and night views from the Arion Athens terrace to make your stay in Greece even more special.  The 7th floor roof garden is a truly unique spot; Arion Athens hotel is one of the few Athens downtown hotels that boasts an amazing panoramic view of the Acropolis and the Parthenon, ideal to enjoy the Greek capital scenery day and night.